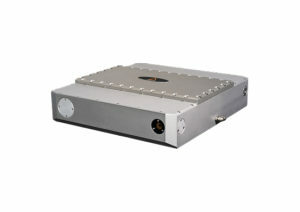 Ytterbium lasers into few-cycle laser sources with > 50 % efficiency. Of course, our module will keep advantages such as for example pristine beam quality as well as short and long term stabilities. So come on and meet our team and our module in the South Hall of the Moscone Center at BIOS and Photonics West. We will wait for you at the Booth #8338 during BIOS and #1627 for Photonics West. And if pulse compression is something you want to know more about, we will give a presentation Room 104 on Sunday 3 February at 5:10 PM entitled “High-efficiency two-cycle ultrafast source based on hybrid nonlinear compression” during which he’ll showcase the ability of Compress 50 to turn Tangerine high energy ultrafast fiber laser into a few cycle source ideal for high harmonic generation and attoscience. So, don’t miss it! And if you want to know more about Compress, click here!